CARFAX One-Owner. Clean CARFAX. 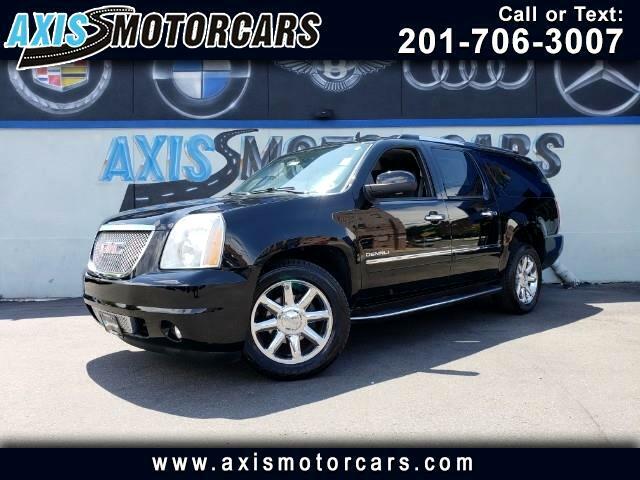 Onyx Black 2014 GMC Yukon XL Denali AWD 6-Speed Automatic HD Electronic with Overdrive Vortec 6.2L V8 SFI VVT AWD. Axis Auto Group and Motorcars has one of the largest selections of quality pre-owned vehicles for you to choose from. When you find or just looking for that vehicle we will be here to assist you. We have an experienced sales staff to walk you through and provide the financing you may need, for different types of credit backgrounds. Give us a call to answer your questions or come and see for yourself our large inventory of quality pre-owned vehicles.